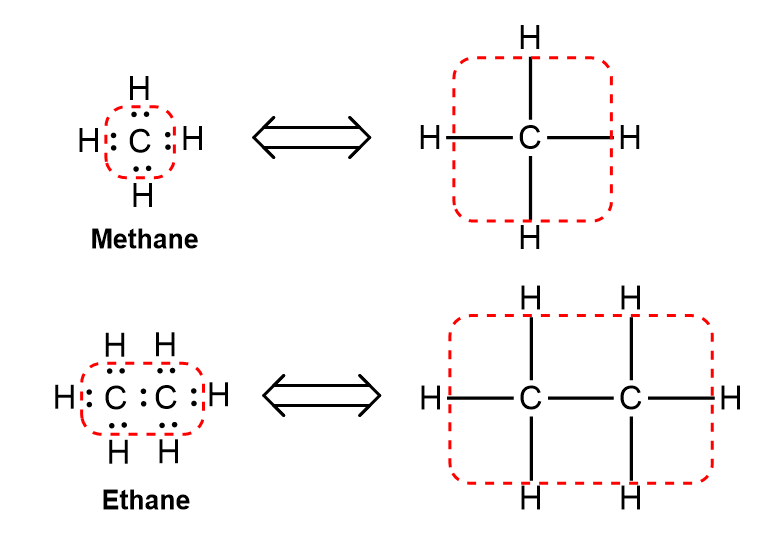 The covalent bond is one of the two basic types of chemical bonds in which atoms of the same electronegativity equally share the bonding electrons. Notice that is different from the ionic bond in which the electrons are transferred. Taking the Octet rule perspective, in covalent bonding both the comprising atoms share electrons to achieve the octet configuration since neither has the capacity to accept electrons or donate electrons. For Example, consider Carbon which has 4 electrons in the valence shell. We may argue that Carbon that can either donate all 4 or share 4 electrons with other atoms to achieve its octet. In actuality, however, donating the electrons is highly unfavorable. due to the ionization energy required for carbon to lose 4 electrons. Hence, carbon prefers to share the 4 valence electrons through bonding. Covalent bonds include interactions of the sigma and pi orbitals; therefore, covalent bonds lead to the formation of single, double, triple, and quadruple bonds. This bonding occurs primarily between nonmetals; however, it can also be observed between nonmetals and metals. *All bonds in the red square represent covalent bonds. C—C and C—H bonds are covalent.